Total recipients: The number of contacts in the list to which the campaign has been sent. Total sent: The number of emails successfully sent out by eMailChef. 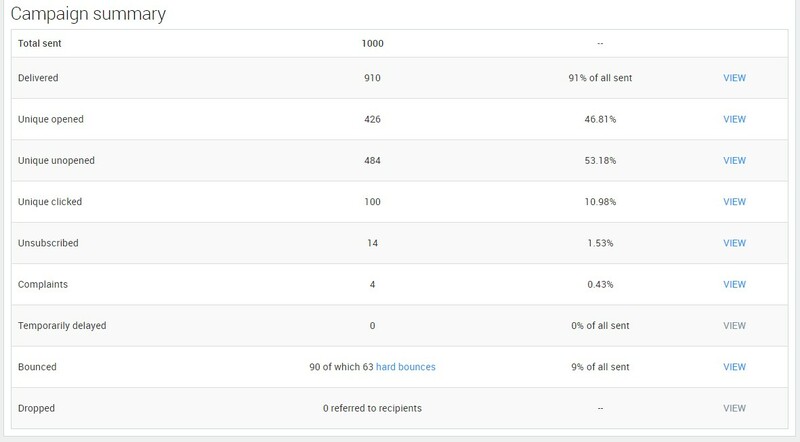 Unique opened: How many people have opened your email upon delivery. Multiple opens are not take into account. Unique unopened: How many people have not opened your email upon delivery. 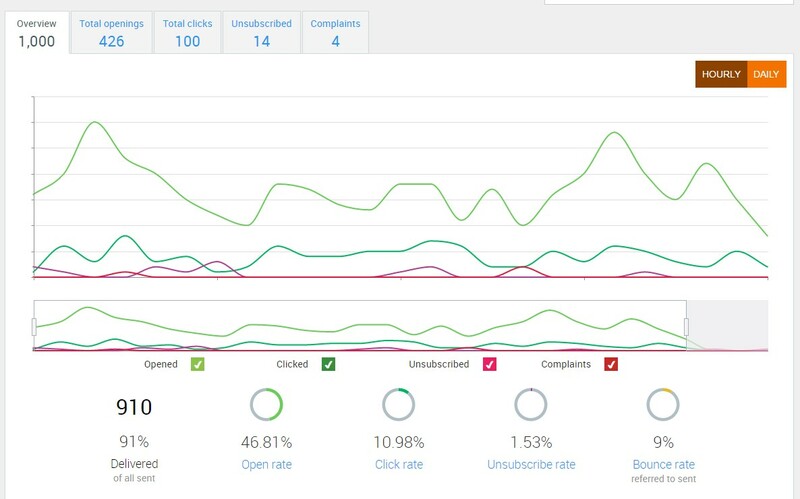 Unique clicked: How many times each link within the email has been clicked. Multiple clicks on a same link are not take into account. Unsubscribed: How many people have requested to no longer receive your emails. Complaints: You get a complaint notification every time one of your subscribers mark your email as spam. Temporarily delayed: The total number of emails that could not be temporarily delivered to the intended recipients (i.e. because of an out-of-office automatic response, or because of a provisional server issue). The system keeps on sending the newsletter for a few days; then, if it can’t be actually delivered, the relative number of contacts goes into the “bounce” total. Hence, it’s an “ongoing” metric. Bounces: The total number of messages that could’t have been delivered to the intended recipients. The system distinguishes between soft bounces (relative to the addresses coming from the temporarily delayed database, and now permanently bounced) and hard bounces (provoked by permanent errors, such as because the email address is misspelled or non-existent). Please note that eMailChef will continue to send the campaign to these addresses for a few days; then, if it can’t be actually delivered them, the relative number of contacts goes into the “Bounce” total. Hence, it’s an “ongoing” metric.